If big-city living has you feeling down, you should consider the sweet hometown life of Moore, Oklahoma. Moore has the convenience of a big town as well as the kind of life you can only find in a small town, from a citywide garage sale to a regular farmer’s market and even an annual golf tournament. First founded in 1889, the story goes that a railroad employee named Al Moore was living in a boxcar near the original town site. Unfortunately, Mr. Moore could not seem to get his mail delivered to the boxcar, so he painted the name “Moore” on a piece of wood and nailed the sign up on his boxcar so that the mail carrier would know where to find him. And even though the town originally had a different name (Verbeck), the name Moore stuck and was legalized as the official town name in 1893. No doubt about it, life in Moore is sweet. Of course, you will need to consider the type of real estate in Moore that you want and look at homes for sale in Moore before you can settle in. Located in Cleveland County, the Moore OK real estate market offers sound value with homes near parks, public services and schools, as well as many recreational areas. Now a prospering town, Moore has over 30 public schools and over 1,500 school-related personnel. The Moore Public School system is the third largest school system in the state of Oklahoma. Whether you want to find Moore properties with plenty of neighborhood activity or Moore homes with large lots and plenty of space, you will be able to find a variety of available homes. When you start searching for real estate in Moore, you need a qualified team of professionals who know the area and can help you find your ideal home. After all, Moore real estate ranges from condominiums to large-scale homes and you want to find the right place for you and your family. 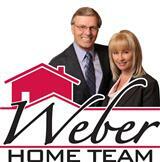 Contact The Weber Home Team today for assistance with Moore, OK real estate.